LD Products Launches Premium Quality New Build Color Cartridges For Xerox MFPs | Industry Analysts, Inc.
Jan 23, 2019 – LD Products Channel Partner division launches another powerful addition to their LD Gold Line Series of premium quality OEM alternative cartridges. 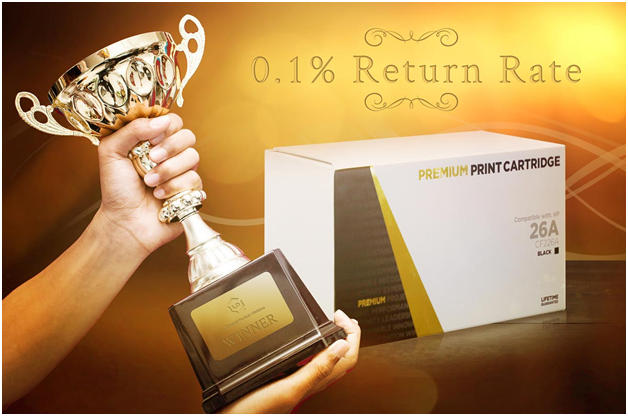 This is the latest color cartridge release in a growing list of elite new built cartridges that still hold the title for the industry’s lowest return rate of 0.1%. Ready now for ordering and for use in the popular Xerox WorkCentreC400 / C405 Series of printers, these new color cartridges strengthen the LD’s product portfolio of Gold Line products sold exclusively through Copier Dealers, Imaging Resellers, and Managed Print Providers. The LD Gold Line series boasts a pristine reputation for quality and in in 2018, zero color cartridges were returned from customers – A 100% quality record never before seen in the Aftermarket. Designed by industry experts, the new aftermarket color products offer advanced color matching technology making print output virtually indistinguishable versus OEM toner with the human eye. “Dealers tell us it’s been difficult to convert customers who buy OEM color cartridges, so we’ve developed a premium quality aftermarket alternative for a lot less”. Stated Matt Geisel, Vice President of the Channel Partners Division Sales for LD Products. “Our entire Gold Line of monochrome and color cartridges are perfect for dealers looking to step up in quality and grow their bottom line with an OEM alternative they can finally count on”. New LD Gold Line Color Products are now in stock ready for authorized LD Channel Partners looking for premium quality color cartridges for the popular Xerox WorkCenter C400 / C405 color printers. The Gold Line was the first Aftermarket cartridge to feature a lifetime warranty and includes hassle-free cost coverage for resellers that must respond to onsite printer repairs caused by a faulty consumable. LD stands behind its products and indemnifies its customers for infringement claims of U.S. Patents. This entry was posted in LD Products and tagged copiers, LD Products, MFP, printers, toner, WorkCenter C400, WorkCenter C405, xerox by IA Staff. Bookmark the permalink.